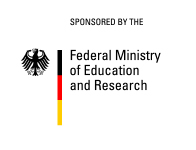 IMAGINARY Israel is organized within the “Research in Germany” campaign of the Federal Ministry of Education and Research (BMBF) with the aim of strengthening the traditionally very good mathematical research collaborations between the two countries. The project aims to enhance the scientific exchange and dissemination of current mathematical research between Germany and Israel. On the occasion of the 50 year long diplomatic relations between Germany and Israel, the project IMAGINARY Israel by the Mathematisches Forschungsinstitut Oberwolfach (MFO) will be announced. The project consists of two mathematics exhibitions for the general public and two workshops mainly for young mathematicians from Germany and Israel. In particular, IMAGINARY will be helping to organise the first two IMAGINARY exhibitions in Israel, with the first one took place during the summer of 2015 at the Clore Garden of Science of the Davidson Institute of Science Education at the Weizmann Institute of Science until mid of December, and the second one at Bar-Ilan University from 24 Dec 2015 until end of January 2016. Go to the event site or directly to the competition site. Part of this project are two scientific events as well: A summer school in Kaiserslautern with young researchers from Israel and Germany that took place September 7-11. In January 11-15 2016 a short workshop will also take place in conjuction with this project at Bar Ilan University in Tel Aviv. Watch this space for more information in the future!